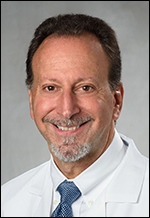 Podiatrist and Medical Director - The Foot & Ankle Center, Richmond, Va.
Dr. Waskin was born in Philadelphia and attended college at Albright College and Temple University . He received his doctorate in Podiatric Medicine in 1983 from the Ohio College of Podiatric Medicine. During his senior year of medical school he received the American College of Podopediatrics Award for Outstanding Achievement. Dr. Waskin continued his training at Metropolitan Hospital in Philadelphia, Pennsylvania where he completed a surgical residency in foot and ankle surgery. He continued his post graduate education by receiving training in Laser Surgery, Foot & Ankle Arthroscopy, Rigid Internal Fixation and Cryosurgery. In 1988, he received a Virginia Podiatric Medical Association Service Award. Dr. Waskin is Board Certified in foot surgery by the American Board of Foot and Ankle Surgery; he received his certification in 1995 and was recertified in 2015. He has been selected to sit on multiple peer review committees for the State of Virginia and professional societies, and has been involved in developing criteria for credentialing foot surgeons at several Virginia hospitals. A past president of the Richmond Academy of Podiatric Medicine, Dr. Waskin has lectured to doctors on a variety of topics and is published in the Journal of Foot Surgery. He is affiliated with CJW Medical Center (Chippenham and Johnston-Willis Hospitals).